Male Sitticus terebratus from above. 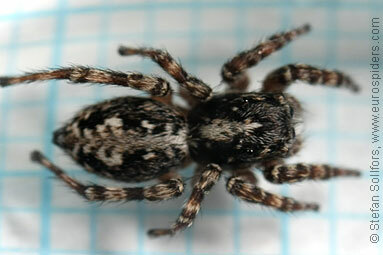 Female Sitticus terebratus from above. 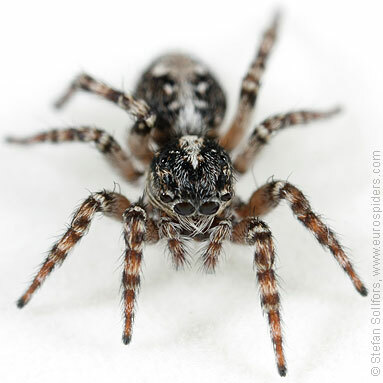 Female Sitticus terebratus, front view. 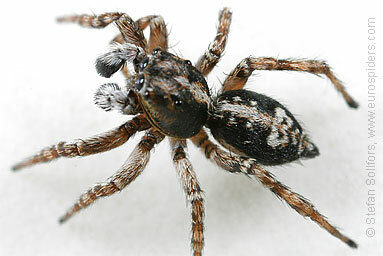 Male Sitticus terebratus, side view. 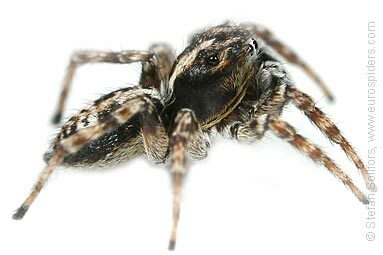 Female Sitticus terebratus, from below. Female Sitticus terebratus, close-up of epigyne. 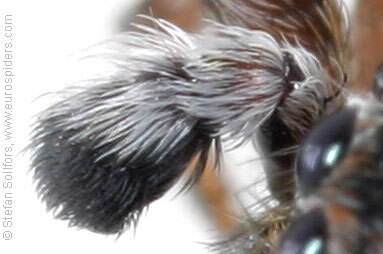 Male Sitticus terebratus, close-up of palp. 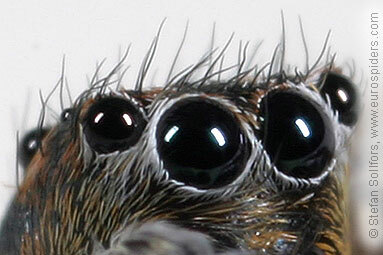 Close-up of the eyes and haircut of a male Sitticus terebratus. Female Sitticus terebratus, just above 5 mm long. 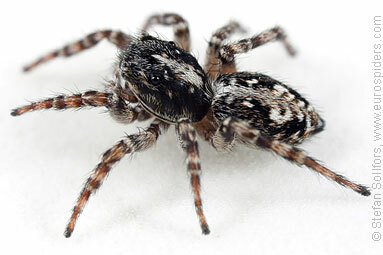 A small jumping spider, Sitticus terebratus.